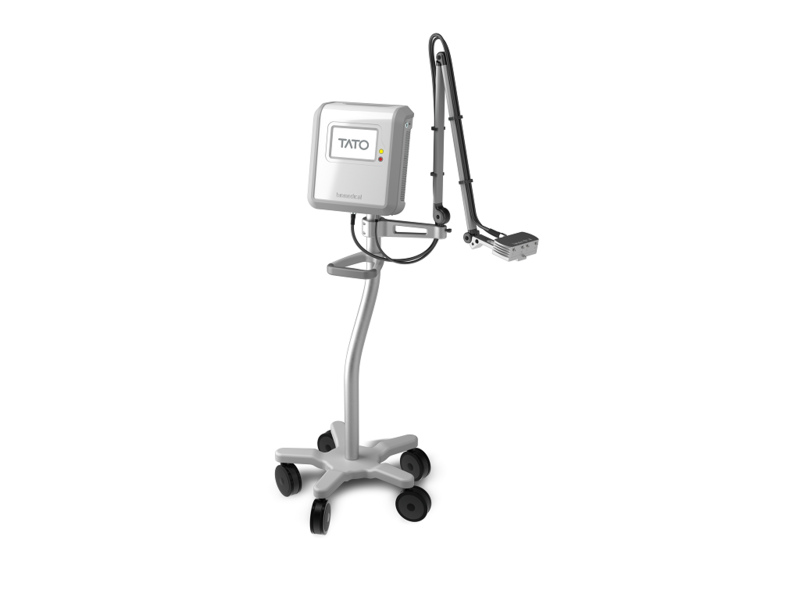 TATO (Thermal Ablation Treatments for Oncology), a Microwave ablation system that allows you to enhance the visibility and control on your ablation procedures. TATO gives you more control and safety during ablation procedures due to the possibility to see the ablation progression under Ultrasound Guidance and perform immediately a low artifact post-ablation CT follow-up with the antenna still in place. At the same time TATO offers a broad range of detachable antennas (from 11G to 18G) allowing to choose the best suitable Gauge for each one of the patients.